We happened to hit it just right- Bluebonnet Season in Texas. It would be a bummer to come before or just after they’d bloomed along the highways throughout the state. We went to Lady Bird Johnson Wildflower Center. A public botanical garden in Austin, Texas. Although they sell bags of wildflower seed, you are not encouraged to purchase it if you don’t live in the zone where the wildflowers will thrive. Rattlesnakes? Yikes. We did not see or hear any, thank goodness. Professional and family photographers capturing subjects posing in the bluebonnets. Making Eco Pots out of newspaper to plant seedlings. 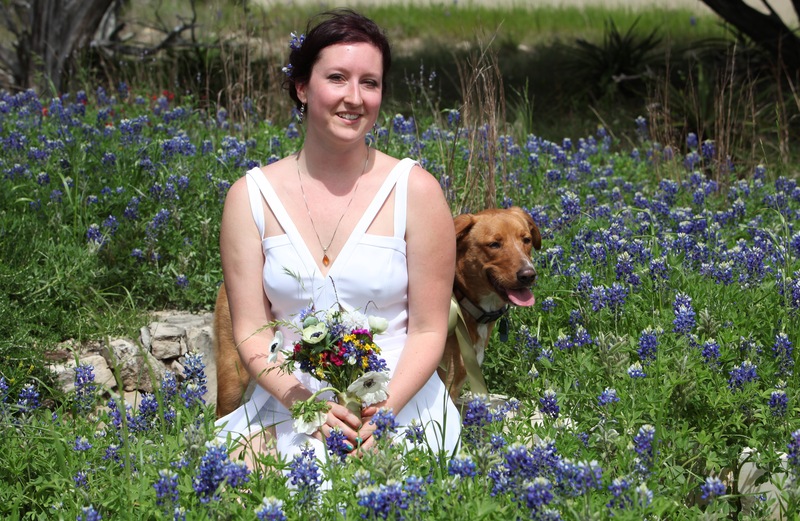 Remember the bride Anna in the Bluebonnets with Champ?